So, you’re ready to make the big move and sell your property for top dollar – where should you start? Before you begin preparing your house for sale, consult a knowledgeable, local real estate agent. Team AGC wants to make sure your property stands out against other listings while also selling quickly for top dollar. 39 percent of seller’s agents stated that staging a home greatly decreases the amount of time the home is on the market and 29 percent of seller’s agents reported an increase of 1-5 percent of the dollar value offered by buyers, in comparison to similar homes. 21 percent reported of the respondents reported a value increase of 6-10 percent. What should I do to improve my Property that will get the most value? One of the recommendations Team AGC suggests constantly to their clients is to declutter and depersonalize their home. Buyers want to see what they are getting as well as envision their lives in your house. Buyers also love properties that look move in ready. Additionally, by taking the time to declutter it also helps you get ready to move!! Cleaning the house and the carpets is another step we recommend to our clients. It is hard for a buyer to get attached if it is not properly cleaned. When a home is clean it gives the impression that it has been well maintained and easy for them to move into. Carpets will always show the most damage and should never be overlooked when making improvements before a sale. If a deep cleaning does not make them look bright and shiny again then you may need to replace them. As we walk through your residence we are looking at the condition of the home as well as the color scheme. Strong colors can distract buyers so when you meet with a stager talk paint colors especially something neutral to ensure it appeals to the masses. Buyers enjoy a clean slate, so they can envision their own things in your home. Also, fresh paint makes a home smell new and people love the new home smell! Team AGC will keep you focused on things that will help you sell your home fast and for top dollar. 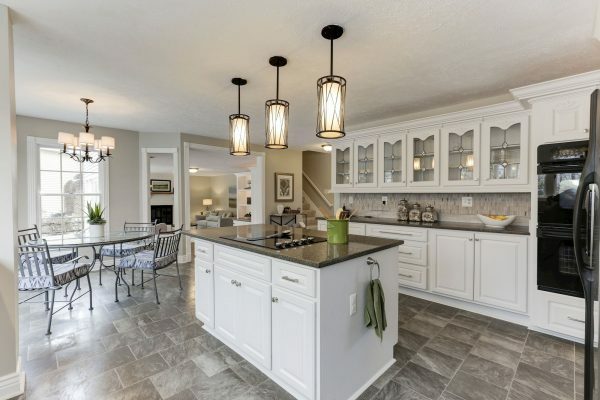 Additionally, we connect you with the best home stager in the business, Leigh Newport from Staged by Design who will walk through your home and guide you through various home improvements that meet buyers wants and needs. We call this our road map to a successful sale. In the end you should not be intimidated by what needs to be done on the other hand be mindful that you will be rewarded for your efforts and your home will outshine the others. Visit the Team AGC website today for your free comparative market analysis or call for your free consultation at 703-573-3478.